An avid Datsun enthusiast for more than 20 years, in 2009 I came across a Craigslist ad listing a Datsun Scarab for sale where I live in Scottsdale, Arizona. Owning a Scarab had been a dream of mine since reading of the car’s history and legendary performance. 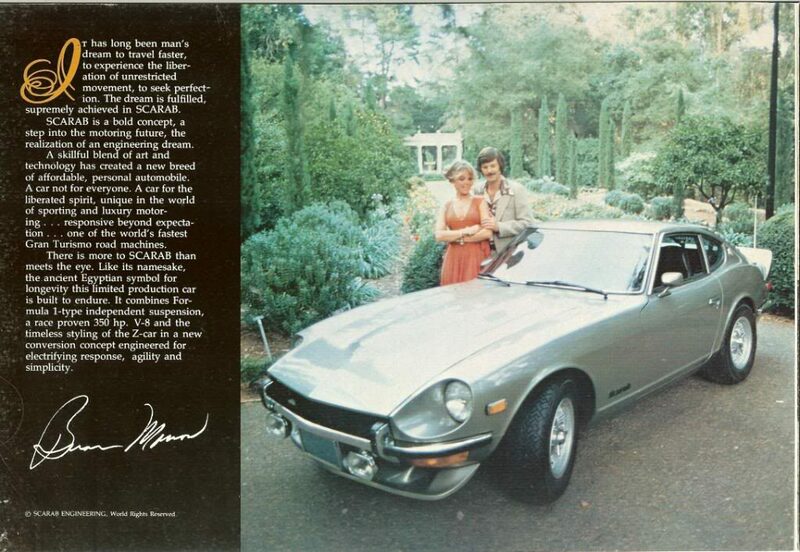 During the mid-70’s and early 80’s, Scarab Engineering, founded by Brian Morrow in northern California, produced the “Scarab”, a V-8 powered Datsun Z car. 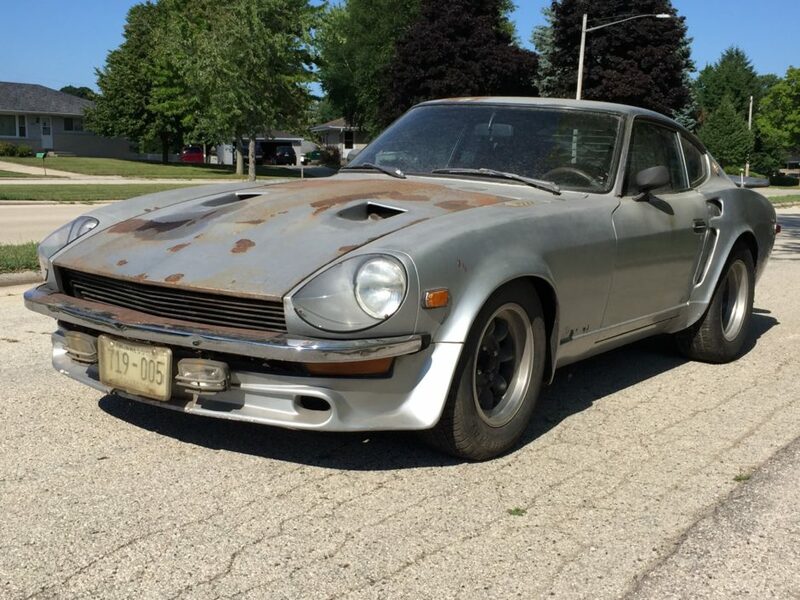 Scarabs could be purchased as complete turn-key “factory cars”, as kits, or individual parts could be purchased from a catalog à la carte, allowing owners to upgrade their own Datsun Z cars. Today, many people mistakenly refer to all V-8 Z cars as Scarabs. In truth, only the individually numbered, factory built cars can legitimately be called Scarabs. Though the exact number of factory cars is unknown, the best guess is less than 200 were produced, as car #189 is the highest sequentially numbered car located to date. Today, less than 20 of those original 200 cars are accounted for. A registry is maintained by Craig Sparkes (owner of Scarab #155) Trevor Bladon for all documented Scarabs known to exist. Upon seeing the Craigslist ad, I immediately placed a call, reaching a gentleman who told me he didn’t own the car but was helping the owner sell some of the cars his recently deceased father had acquired in his auto repair business. After several calls expressing a desire to see the car, I was finally given a name and address. I could hardly contain my excitement, hoping this might be one of the factory built cars, not just another V-8 Z car. Upon arriving at the home in a sketchy part of town, I knocked on the door. After knocking several minutes without response and about ready to walk, the door was opened by an older lady who was extremely guarded, asking who I was and what I wanted. I introduced myself and she asked me to wait while she got her son. A couple minutes later, the son (Alan) came to the door, grilling me before inviting me inside, walking me through the house and out the back door where his father’s shop was.